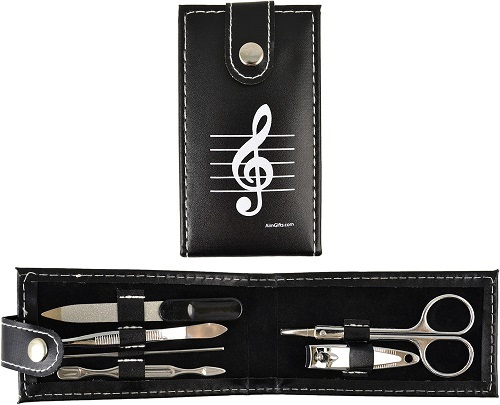 Manicure Set G-Clef For the musician that likes to keep their hands neat and clean. For the musician that likes to keep their hands neat and clean. The manicure set feature nail clippers, nail scissors, nail file, cuticle stick, cuticle pusher, and tweezers all in a convenient, easy-to-carry leather case. Makes a great gift for the musician in your life, or for yourself.